Happy Turkey Day! In honor of this day, we decided to share a brief history of Thanksgiving you may not know about! 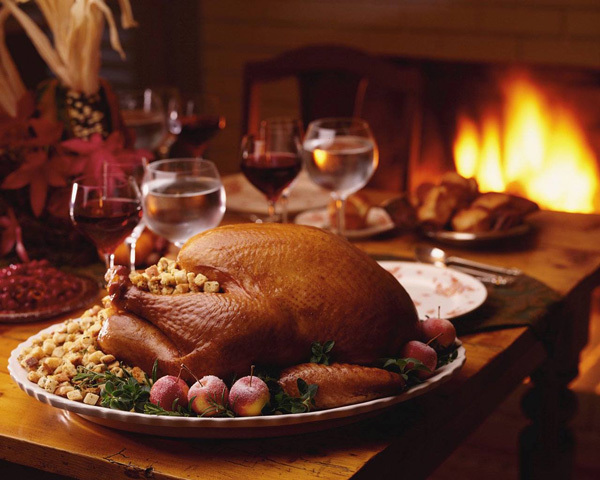 The first Thanksgiving was most likely held sometime in October of 1620 with the pilgrims and the Wampanoag tribe. Thanksgiving did not become an annual event until FDR declared it a federal holiday. After this declaration came the many traditions we associate with the Thanksgiving we know and love like turkey and pie. We are most thankful for our Farm Stand family! Happy Thanksgiving to you and your family! Tags: history, holiday, thanks, thanksgiving, turkey | Permalink. We are wholeheartedly dedicated to reducing our carbon footprint here at Farm Stand. We take pride in our low-energy and low-flow water equipment throughout the restaurant, as well as recycling our oils for fuel conversion. Another way we stay eco-friendly is through our utensils and dishware. We use “green-approved,” recyclable, non-toxic porcelain enamelware that is virtually unbreakable, which cuts down on waste even further. Even when we don’t have the chance to use reusable dishes, we always make sure to provide our customers with compostable and biodegradable goods. If you are interested in making your own home more eco-friendly, be sure to cut down on paper products like paper plates, cups, and towels and opt for reusable and recyclable kitchenware. 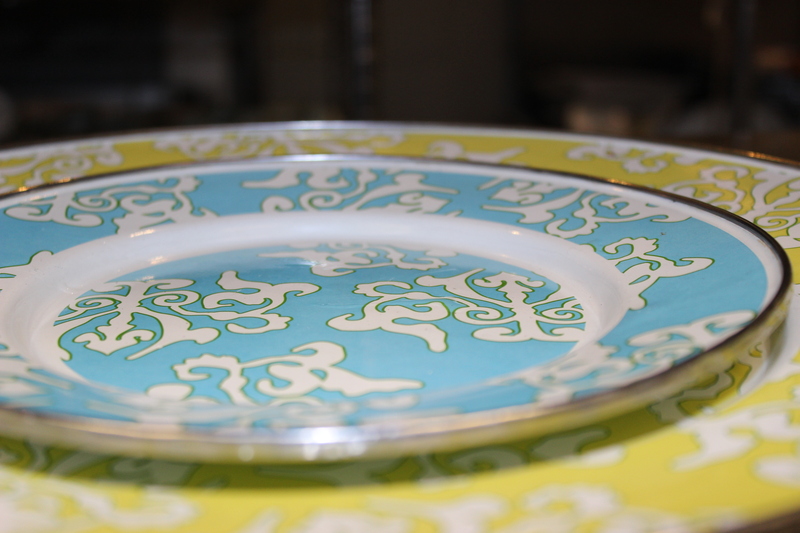 When purchasing new dishware, be sure to look for “green-approved” products or even shop from your local thrift shop or flea market. What are some ways you have reduced your carbon footprint from home? Tags: biodegradable, china, compostable, dishware, eco-friendly, enviormentally-friendly, kitchenware, plates, recyclable, utensils | Permalink. This week we are excited to join GMOInside, one of our favorite non-GMO supporters, in their efforts to stop big food corporations from preventing mandatory food labeling. An industry-led campaign to prevent mandatory GMO labeling is in effect and we are hoping to put it to an end. So we hope you join GMOInside’s efforts by participating in what they are calling the “Send Back Attack.” For the next week, they are asking that you send back the “Satisfaction Guaranteed” label on Cheerios to General Mills’ headquarters along with a handwritten letter voicing your concern over GMOs and GMO labeling. If you don’t purchase or eat Cheerios, you can still participate! Spread the word to family and friends about the initiative for a more equitable food system. For more information about GMOInside and their “Send Back Attack” be sure to check out their website and instructional video. Tags: campaign, Cheerios, food labeling, gmo, healthy, initiative, nonGMO | Permalink. We take pride in our dessert menu here at Farm Stand, especially our gluten-free desserts. We want to show our patrons that giving up gluten doesn’t mean sacrificing flavor! So, we wanted to share some of our favorite gluten-free desserts with you. In addition to our very own Coconut Flan, we love to indulge in other gluten-free desserts such as poached or baked fruit (pears and apples are usually best), berry sorbet with whipped cream, and even ice cream topped with chocolate-espresso drizzle. Another gluten-free dessert featured on our menu is our Flourless Chocolate Cake, and we wanted to share a recipe so you can enjoy gluten-free goodness at home! Top with any berry sauce and whipped cream of your choice and enjoy! 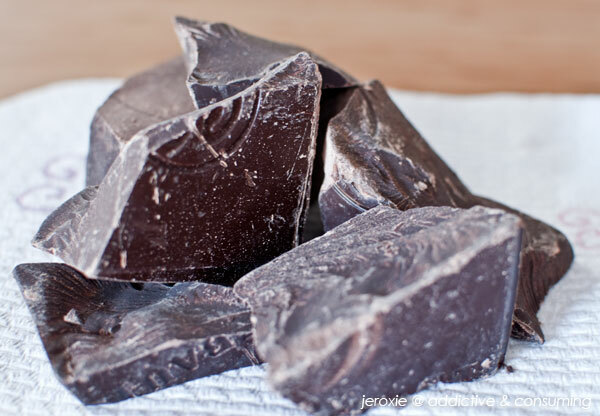 What are some of your favorite gluten-free desserts? Tags: cake, dessert, flourless, gluten free, healthy, recipe | Permalink. Our mashed potatoes are one of our most popular sides here at Farm Stand and now we have made them even healthier and tastier! We’ve decided to make the switch from russet potatoes to healthful red potatoes. So, we decided to fill you in on why we made the switch. Compared to russet potatoes, red potatoes contain five times as many antioxidants. 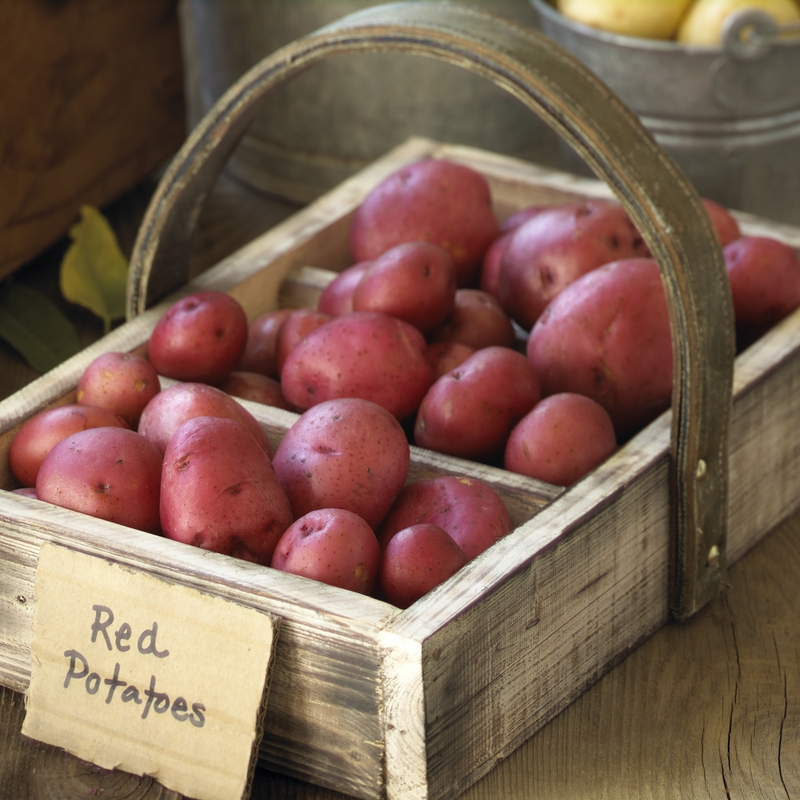 Red potatoes are also rich in nutrients including iron, vitamin C and potassium. Iron helps provide the body with energy and oxygen, while vitamin C aids in skin tissue development and prevents against free radical damage to the body’s cells. Potassium, meanwhile, is great for all cell, tissue, and organ functioning to the body. Red potatoes also contain high levels of protein, which helps prevent cardiovascular disease, the number one killer in the U.S.
See why we made the switch? Be sure to come into Farm Stand to try our new, delicious, and nutritious mashed potatoes! Tags: el segundo, health benefits, healthy, menu, new, red potatoes | Permalink.